Here they go again! 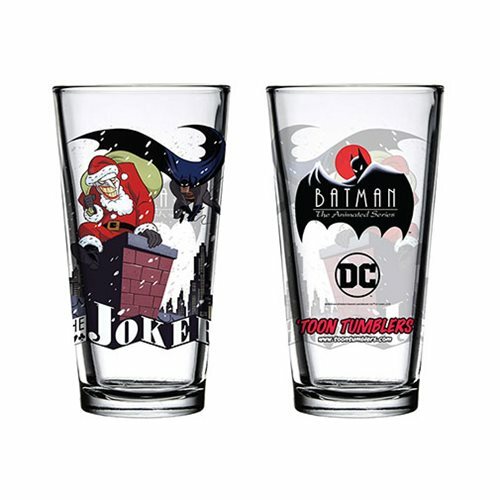 Batman swoops down on a chimney to "dissuade" the Santa-suited Joker from sneaking away with his stolen goods in the wraparound artwork on this Batman: The Animated Series Santa Joker Toon Tumbler Pint Glass that also features the TV show's logo. Gotcha, Joker! Hand wash only. Not dishwasher safe. Do not microwave.